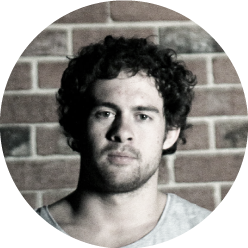 Josh completed a Bachelor of Applied Science in Architecture at the University of Canberra in 2008 and a Master of Architecture at the University of Melbourne in 2011. In parallel with his studies, Josh designed and made furniture on a commission basis and by the start of 2010, was also exhibiting works in exhibitions and competitions around Australia. Throughout his post-graduate studies, Josh worked at design and architecture studio, Russell & George and continues to work in the field of architecture at Woods Bagot. Josh’s furniture designing and making is inspired by his work in architecture and vice versa. The satisfaction of creating highly resolved work with attention to detail, material choice, and craftsmanship being driving forces behind each piece.